NSA's hopelessly outdated guide to Internet research. 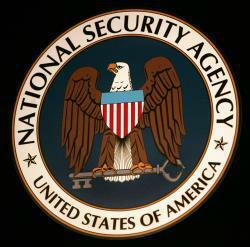 The NSA probably has some good Internet researchers. But its 2007 guide is hardly helpful. As Wired reported yesterday in an item titled “Use These Secret NSA Google Search Tips to Become Your Own Spy Agency,” the NSA just released a 643-page in-house guide to Internet research following a FOIA request made by MuckRock in April. Given the provenance of Untangling the Internet: A Guide to Researching the Internet, one might be tempted to regard the imposing document as the ultimate manual for tech-assisted espionage of the highest caliber. Like Wired, Gizmodo went so far as to urge readers to check out the book if they want to “use the internet like a spy.” Indeed, the guide does contain an exhaustive section of useful, lesser-known Google hacks, and one could certainly do worse than read its advice for avoiding computer viruses and Internet scams. Nevertheless, a careful perusal of Untangling the Internet will reward the reader not so much with secret recipes for Internet wizardry as with well-known tips geared to technologically challenged bureaucrats. But the guide, which was published internally in 2007, won’t just make you weep about technological incompetence within our government. Less depressingly, it shows just how much the Internet has changed in only six short years. To drive these two points home, below are five of the guide’s most unhelpful tips. Why this isn’t helpful: Anybody who was not already familiar with Google’s translation capabilities in 2007 had previously been living under a rock without wifi. This tip is not dissimilar to telling somebody in the 1980s that it was possible to buy a “bilingual dictionary” to look up the meaning of foreign words. One can only hope, at any rate, that this advice wasn’t geared towards the NSA’s staff of supposedly top-flight language analysts. - Never use a real word in any language (too easy for dictionary attacks to break). - Never use just letters. - Make it at least 8 characters long. - Include both upper and lower case letters. Why this isn’t helpful: OK, granted, this potentially could be very helpful—but only if it hadn’t been widely known by everybody and their mother for years. It’s surprising that there may have been spymasters at the NSA as late as 2007 who thought using the password “password” for their online bank accounts was a safe bet, but naiveté apparently knows no boundaries. Why this isn’t helpful: Nowadays, Google basically does this by default. I ran searches for both “bacterium infect” and “~bacterium ~infect” and both search results were identical, returning a large number of pages containing the words “bacterial infection,” which was exactly what I was going for in the first place. Why this isn’t helpful: Entering podcasts.yahoo.com into the address bar results in an error page. In fact, the service was discontinued in October 2007. Other Yahoo services touted in the document and which are now defunct include Yahoo Site Explorer (merged into Bing Webmaster Tools in 2011), and Yahoo Mindset, which apparently never made it past the demo stage. Why this isn’t helpful: My own visit to www.findforward.com ended with an empty white page with one lonely string of text, “This page is currently unavailable. thanks, Philipp.” So much for doing Google one better. So if you really want to start your own high-tech spy agency, you might want to look beyond 2007.